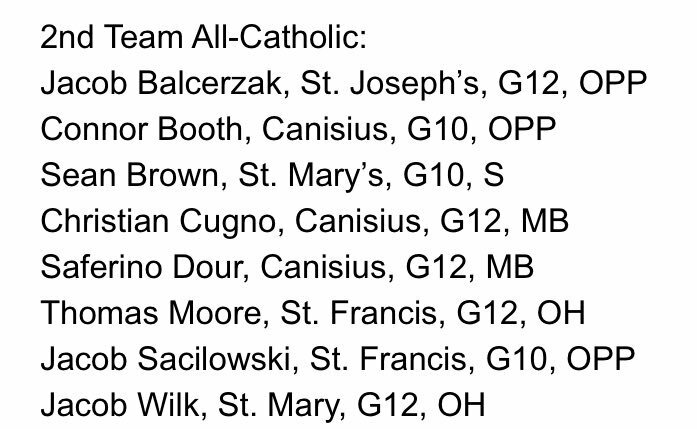 Congratulations to senior Jake Wilk and sophomore Sean Brown on being named Second Team All-Catholic in the Monsignor Martin. St. Mary's couldn't quite put away the Crusaders in the semifinals of the Men's Monsignor Martin Volleyball Championships. Congratulations to all of the seniors and the rest of the team on a great run!